Our projects relate to the Sustainable Goal 14 – “Life Under Water” of the Paris Climate Agreement. Our mission is to contribute to this goal on a local and global level.  There are 10 sub goals stated under SDG14 – addressing topics from ocean pollution, ocean acidification, overfishing, to biodiversity and the knowledge transfer of sustainable marine technology. We choose our projects also based on various criteria, for example taking into account the current political and economical status in Germany (and abroad), the urgency of the topic and dynamics of stakeholders involved. Conceptual art is a great tool to raise questions and to mirror human behaviour. Art is a door to our unconsciousness. It therefore helps humans to access an insight which we regard highly crucial for the 21st century: Us humans need to re-connect to nature. This connection has been lost to a large part and we see a high need for it to be re-established. It’s the only way for us to save this beautiful fragile planet we live on – and ourselves.